When you look for shapes in the clouds, you’ll often find things you see every day: Dogs, people, cars. It turns out that artificial “brains” do the same thing. Google calls this phenomenon “Inceptionism,” and it’s a shocking look into how advanced artificial neural networks really are. In a post yesterday on its blog, Google’s artificial neural networks research team explains how they’re building the kind of very advanced computer vision systems that are able to identify when you’re looking at a picture of, say, an orange versus a banana. The entire post is sincerely gripping, but here’s a slightly shorter synopsis. First, it helps to know a little bit about the structure of neural networks. Google succinctly explains how they’re made up of layers of artificial neurons, as many as 30 at once. When you run a photo through the network, the first layer detects low-level information, like the edges in the picture. The next layer might fill in some information about the shapes themselves, getting closer to figuring out what’s depicted. “The final few layers assemble those into complete interpretations—these neurons activate in response to very complex things such as entire buildings or trees,” Google’s engineers explain. Yes. Those are fantastical creatures created entirely by an artificial neural network looking for animals in an image of clouds. Google actually has a term for this: Inceptionism. 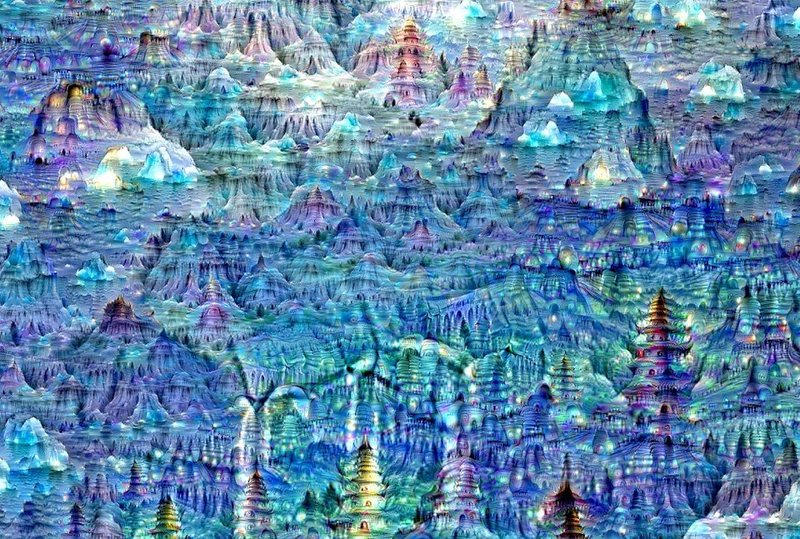 Google calls these “dreams.” Dreams created entirely by artificial neural networks. Go check out the entire gallery of “Inceptionism” dreams created by these machine brains and be awed.